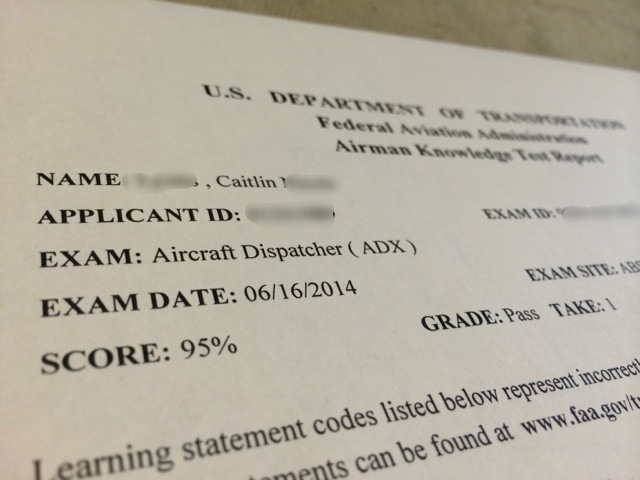 Good news on the dispatcher front! I passed my written exam! Yay! And with a 95% whooo! I was shooting for 100%, but I’ll take a 95. I used Sheppard Air to prepare, they are amazing. It’s not a hype and if you do their method it works so well. I studied less for this exam and scored higher than for my PPL written. They don’t guarantee money back for dispatchers if you score less than 90%, but for everyone else they do. I did have one question I didn’t see while studying so I may get my money back anyway! I’m not too happy with the FAA though, I got 10 validation questions. My 80 question test was bumped up to 90 questions. It was more of a psych out that I didn’t appreciate. 1 or 2 extra questions, fine, not 10! They were hard questions too and involved a lot of calculations I wasn’t sure how to do. Oh well, luckily they don’t count in my score, but it did make me nervous. I’ll be leaving in less than 2 weeks to go do my residency in Cincinnati to actually earn my license. Now onto real studying! I have my colorful flash cards to help with that. 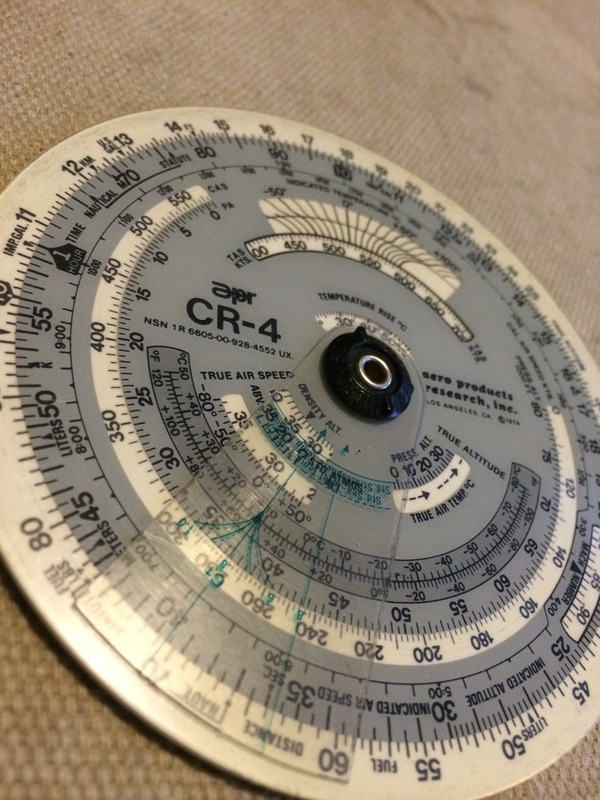 Jake says I need to be prepared to pass before I arrive, while I think that’s a little overboard since they will teach me more calculations and using this fun whiz wheel to the side. I do see where he is coming from, so nose to the grindstone for a bit longer. I promise I’ll have more to write about soon. Lots of things are happening in our life right now, just things need to be confirmed before sharing! At the prospect of possibly soloing soon, I really want to get to working on my landings. Sadly, my next lesson isn’t until tomorrow so what’s a girl to do? 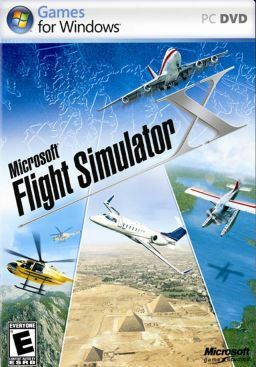 Play on Flight Simulator X, of course! Embraer Boyfriend is home as well, so he was able to help me. He sets it up for me and we’ll just be doing the final approach over and over again. There’s no wind in the setting we are doing, which I’m pretty sure will never happen in real life. And since it has never happened I realize how bad of a tendency I have to drift to the right. The biggest thing I’ve learn from doing this is how much harder the computer is to land than a real plane. It’s much more sensitive than the old 1979 152 I fly. EB said if I can land the computer I can definitely land the plane. I’m not sure how much I believe him. We did a bunch of landings, I had problems lining up with the centerline and I flare too fast sometimes, not enough others. By the end, my flare was getting a bit better the lining up was…eh. The last two we changed airports on it to a closed airport a few miles away so there weren’t those lights to tell me if I’m on the glideslope. I did a lot better. I’m focusing too much on the lights which then make me drift over to them because I’m focused on them and not straight down the runway. Maybe I have that problem when really landing but the wind can offset it. I really hope this helps though. We’ll see tomorrow! I’ve been studying for a long time now. Ever since January and I love reading because it makes me feel productive when I’m not flying, especially since I was grounded because of weather so much at the start. But, I’m also trying to save money while flying. My flight school on their syllabus has the Jeppesen Private Pilot Manual and Maneuvers Manual. One is $70 the other is about $20, ouch. I was ready to go look for them on eBay but then Embraer Boyfriend said it was the worst book ever. I never bought it, I cannot attest to that, but I trust him. So I kept using my free FAA books which I’m happy with what I’m learning. 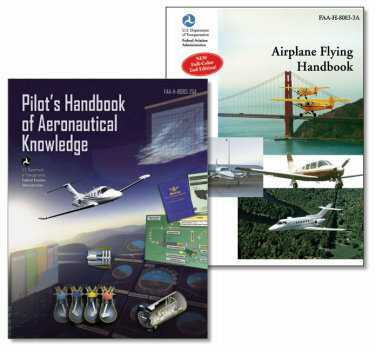 The Airplane Flying Handbook and The Pilot’s Handbook of Aeronautical Knowledge. Both can be downloaded for free on the FAA website. Or if you want you can spend some money to buy printed versions. I can devour the Airplane Flying Handbook, and have. The Pilot’s Handbook of Aeronautical Knowledge though, that’s a toughie. It’s written very dry and heavy. I struggle with it but still read it. I think it’s because the AFH is talking about the practical application, while the PHAK is theoretical. Both are important, both I need to learn. Any suggestions on other books I can read while on the ground? After my ground school lesson I was determined to learn as much as I can. I was already determined for that but this was just a little extra bump. My instructor was going to be out of town for a week so I had some extra time too. 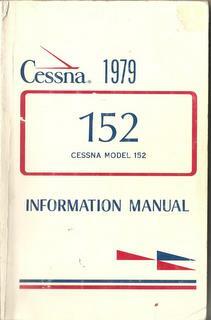 I went to check out at the school and wanted to grab the Cessna 152 POH as well. They were out, it was such a bummer. The guy behind the desk told me just to check for a used one on Amazon or eBay to get it that way instead of them ordering a new one. I got home and learned that a new POH cost about $60, not such a bummer they didn’t have any now! Now the trick was to find the correct one since there are so many different years out there and I’m not that familiar with which one to get. On the flight school’s website I found the tail number, typed it into Google and found which year it was made. I began looking on eBay for a POH for that year. I found it right away and for only $8! Score! And it was “Buy It Now” so I ordered it right away and it came 3 days before my next lesson. I was so excited about it I finished it before I got to my lesson on Monday. 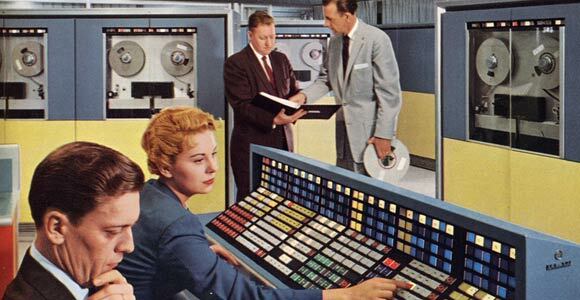 I also knew there was a lot to memorize in it. I actually found these flashcards online: Cessna 152 POH Flashcards I was a bit wary so double checked them against the POH I received and good thing I did because somethings were different. I also had my live in CFI go through them and pull out the ones I needed to learn since he said there was a lot of extra information in there. But now I’m set and ready to learn! 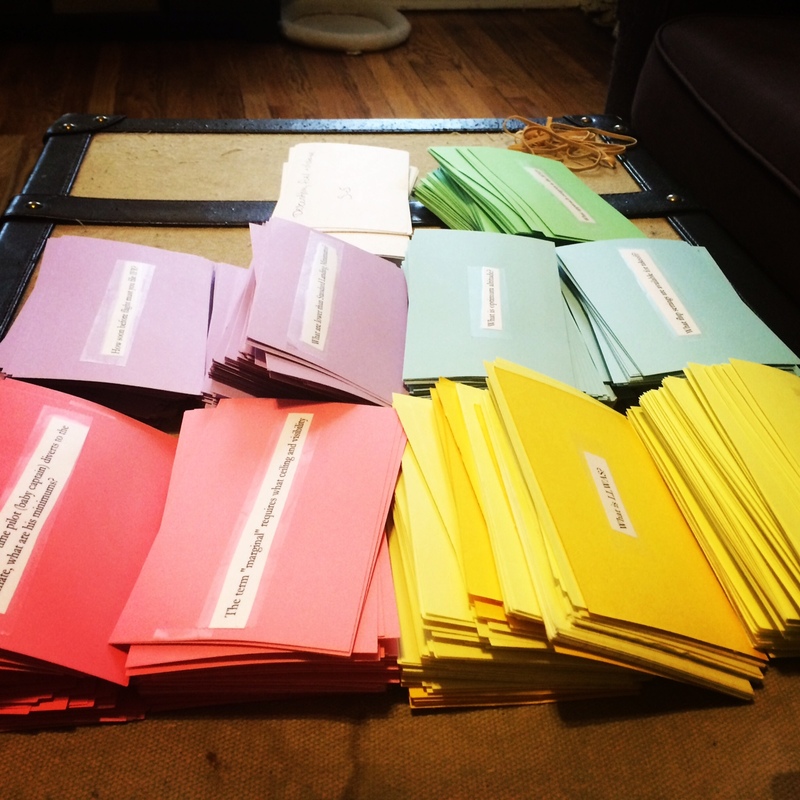 Shortly, I will type up the correct information on those cards and put them on this site to help other new students.